It is a well known fact, that swimming for exercise provides many physical, social and psychological benefits, and years of research back it up. They include increased cardiovascular fitness, improved strength and flexibility, enhanced muscular stamina and balance, a stronger heart with increased cardiovascular endurance, and positive changes in body shape and body composition. Apart from this, swimming also works as a fast and effective remedy for healing muscles, due to its zero impact and high repetitive nature. No matter what your current standard of swimming, you will gain some positive health related benefits. 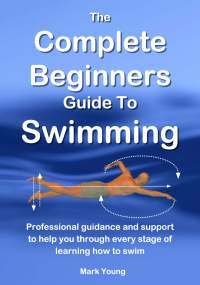 As a beginner learning how to swim, the new challenge alone will bring about exercise and some calorie burning to go with it. If you are already an established swimmer, but maybe you've not been to the pool for a while, then give your body a wake up call. Get in the pool and swim. You will feel so much better for it! If its a specific workout you are looking for, then click here for swimming workouts tailored to suit certain swimming strokes and standards. Get Swimming and Burn Some Fat! Swimming also helps to reduce body fat and can relieve your mind from stress and tension, keeping you in perfect shape, physically as well as mentally. The benefits of swimming are huge for individuals who are obese, or individuals suffering from orthopaedic conditions such as lower back problems. This activity offers some aerobic benefits and unlike other weight training programs, swimming does not put strain on weight bearing joints, as it is a zero impact activity. Research indicates that pregnant women benefit hugely from swimming. It makes their abdominal muscles strong, which are most essential when carrying a baby. In addition, it strengthens the back and the postural muscles. According to experts, exercising in water can considerably reduce joint stiffness, high blood pressure, and discomfort, which is often associated with pregnancy. 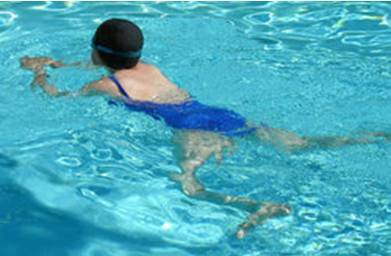 For more detailed information about swimming during pregnancy, click here. After a woman has undergone breast surgery, doctors often suggest it as part of the recovery process. This is considered to be an advantageous means of exercising all the major muscle groups. Swimming is a great means of injury rehabilitation and is also a very effective way of recovering after surgery. Muscles and joints need a gentle re-introduction to exercise as part of their rehabilitation process and swimming provides them with just that. It is advisable that you consult a physician before you chose swimming for exercise as a means of getting fit. It is very important to talk to experts as they can confirm which swimming strokes are moderate and which can be strenuous and what suits your individual needs.